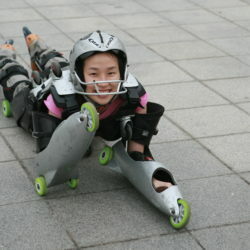 Kyung Ae tried the BUGGY ROLLIN suit in Pundang near Seoul, in the parc of the in line skate club that she used to manage “Baram Sori” (the noise of the wind). 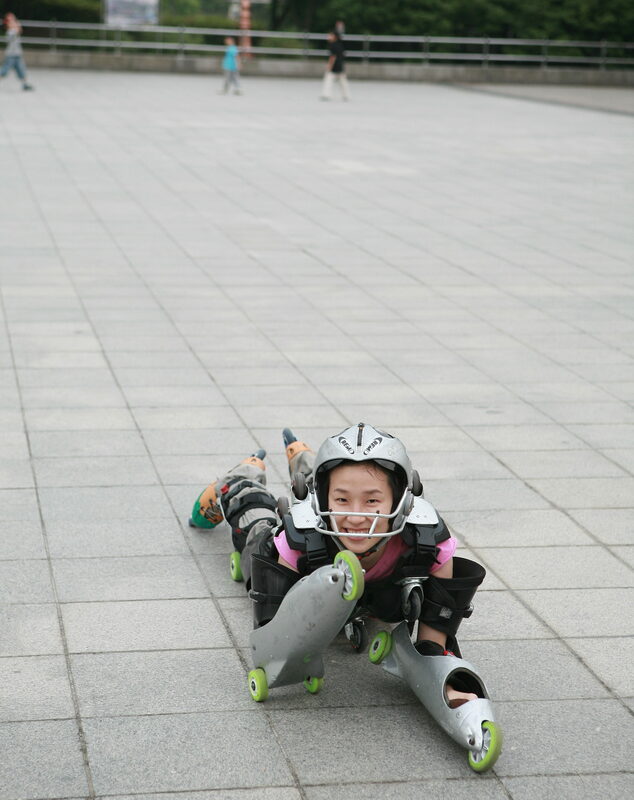 She was a talented skater, so much that she was one of the first slalom coach in Seoul. 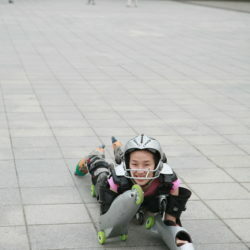 As good skater, she could use her skills to learn BUGGY ROLLIN very fast. After a first stage on the flat, she tried from a short slope. Anyway it take time to get good training. Later in France she had special downhill training in the alps. And finally she went to freeride in the famous Vallee de la Jeunesse in Lausanne. 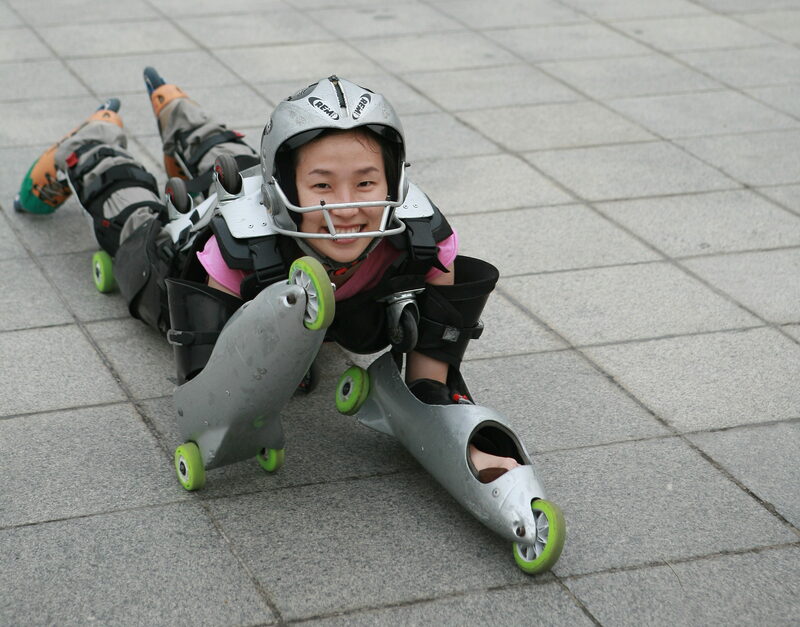 That day Gilles was discovering BUGGY ROLLIN. You Can see it in the video called debutant First step. Maybe she got stuck on the back once she landed. We came to relax the muscle of her head whit holding the helmet up. We got a lot of question about how tiring it is for the neck to lye on stomach. 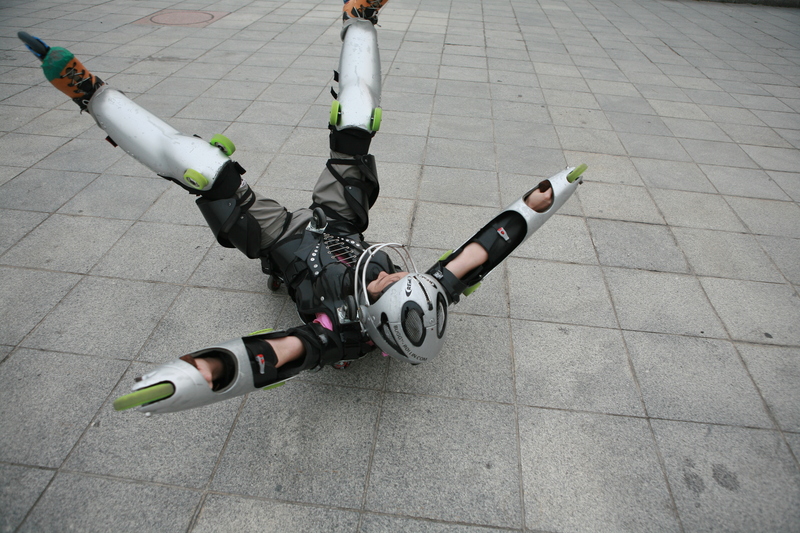 But the real difficulty is when someone stay too long on the back. The general construction of the body is not designed for that.